We believe Southwest Lancaster schools offer a high-quality learning environment and supportive services so that every student can attain success. Additionally, adults can find many opportunities for continuing education/technical training. Increase parent & community involvement at local schools. Improve Residents’ Access to Available Educational and Job Training Resources. SoWe Education is committed to improving the lives of students through engaging families in school planning, leadership and meaningful volunteer opportunities at local schools. The committee helps to connect students and families to community resources and affordable after-school programming for all children. In addition to assisting school-aged children, SoWe Education helps residents access various educational and job training resources. 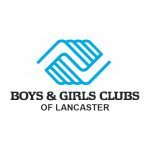 In partnership with Boys and Girls Club of Lancaster, SoWe has assisted in establishing Price Elementary as a Community School. The Community School Director at Price works to form relationships with parents and students while bringing additional resources to the school. The Boys & Girls Club offers a variety of programs and services for all children ages 6-18 for only $1 per year membership to their Clubhouse. They provide programs for education and career, character and leadership, sports and fitness, arts, and health and life skills. These programs promote positive academic participation, leadership development and service, and healthy living. The Police Athletic League (PAL) of Lancaster was formed in 2014 to connect cops and kids in a positive environment through sports and physical activities. Through PAL, police officers mentor and conduct youth development activities with neighborhood kids, which has been proven effective for connecting law enforcement officers and community members in a positive manner. 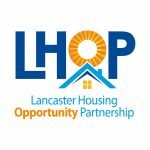 The Lancaster REC provides a safe and enriching environment for children to learn and grow through play and for families to become closer by spending quality time together. They offer year-round child care, youth sports and dance programs, and recreational spaces such as pools and parks. The CAP Child Care Center provides affordable, high-quality care for children, combining early learning experiences and creative play in a safe environment. CAP also offers a pre-kindergarten program, Head Start, for children ages 3 to 5 from income-eligible families. Head Start provides children with early childhood education, family support services, nutritious meals and health screenings. The Mix at Arbor Place is a non-denominational faith-based organization dedicated to meeting the spiritual, social/emotional, academic and physical needs of Lancaster city’s youth. They offer a free after school program for students ages 7 to 17 where kids can explore opportunities and learn useful skills, have access to resources, and participate in various activities. Teen Haven is a mentor program offered through the Water Street Mission helping inner city teens become leaders in their city, schools, and churches. Teen Haven works to build a better foundation for a brighter future by providing teens with a healthy community to grow in. SWAN is a support group for children ages 6-18 affected by parental incarceration and provides free music lessons, ensemble training, performance opportunities and mentoring. Their vision is to give children hope and a life changing experience thus improving their lives, our communities, economy, and culture. Bright Side offers multiple fitness classes and memberships for all ages to their fitness center, including basketball, yoga, and health and wellness programs. Bright Side also offers a STEM Camp for youth in middle school, as a way to introduce students to this field and help to set them on a path for a career with a sustainable wage that will help to lead them out of poverty. The YMCA offers an array of programs for youth, adults, and families in Lancaster County that promote healthy living and social responsibility. With a large focus on youth development, programs include youth sports, swim teams, and camps, as well as, child care and early learning/Pre-K. They also offer many programs for adults such as adult sports, group exercise, personal and nutrition coaching, and health and wellness programs. The YWCA is dedicated to eliminating racism, empowering women and promoting peace, justice, freedom, and dignity for all. Programs at the YWCA include resident programs such as emergency shelters and housing assistance programs, as well as social justice programs. They also provide child development programs and counseling services. SCORE Lancaster-Lebanon is a free volunteer-based program offering mentoring services and workshops to support business owners, entrepreneurs, and nonprofits during every phase of business. SACA (Spanish American Civic Association) is an organization committed to empowering the Latino community through offering many services for self-help and self-development, such as health programs and education resources. Tec Centro is one of the organizations offered programs that provide language development, adult basic education training, bilingual skills training, job readiness and placement. IU13 (Lancaster-Lebanon Intermediate Unit 13) is an education service agency dedicated to delivering services to school districts and communities across the state. IU13 serves students in both public and nonpublic schools, preschoolers, and adult learners with a core purpose of improving student learning. They offer various community education classes, graduate classes, and human resources training for adult learners across Pennsylvania. PA CareerLink is a job-matching system for employers and job-seekers. They offer free access to many career resources and services such as career tools and exploration, veteran services, and training opportunities. The Literacy Council is a free neighborhood resource where adults can build basic skills, receive education classes, learn English, prepare for jobs and job training, and build a career path. They offer personalized programs to help students make informed choices about education, training, and employment, so students can achieve their goals. Want to get involved? Learn How!